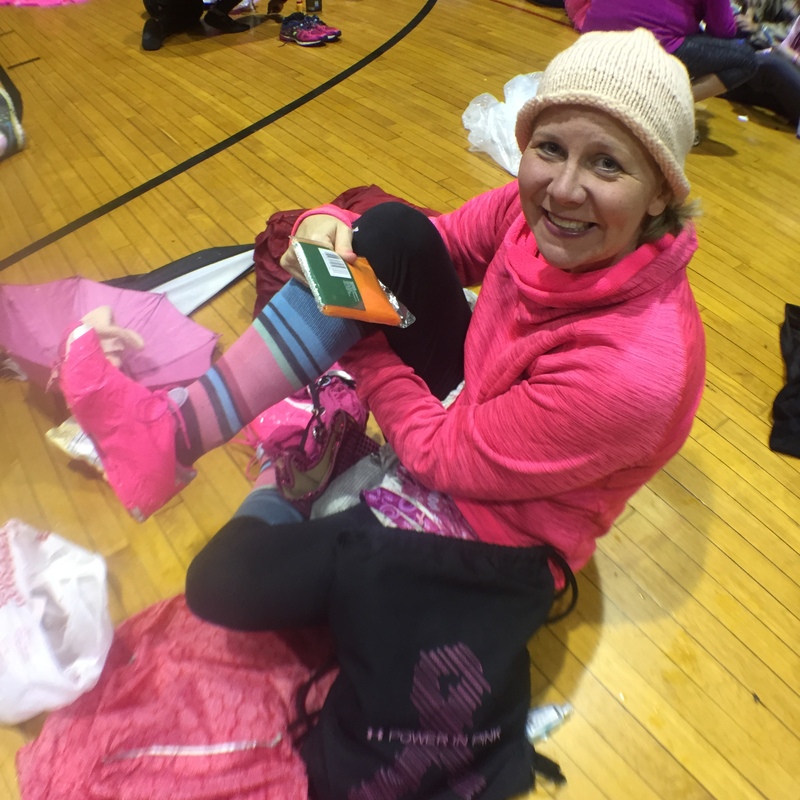 When talking about the 2015 Philadelphia 3-Day walkers and crew members, one thing is certain: these are not people who back down when faced with adversity. 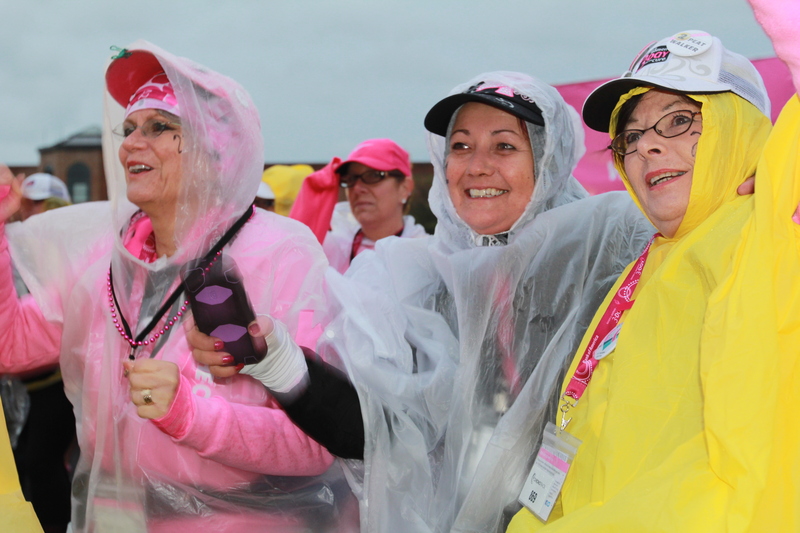 Not even the threat of a hurricane, and the full Friday of pouring rainfall that accompanied it, could dampen these amazing people’s spirits. They arrived on the cold Friday morning, when the sky was still only drizzling, ready and motivated for the day to come. 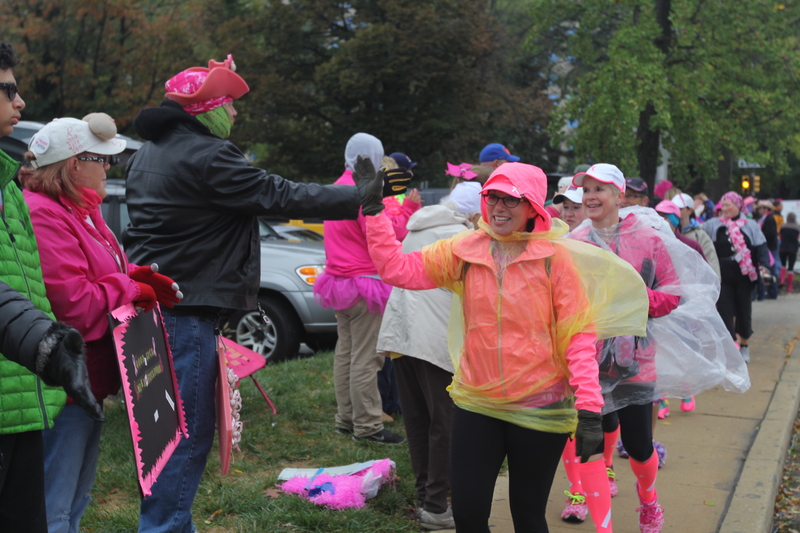 Rarely have you seen such a well-prepared bunch of individuals, decked out in duct-taped shoes, rain jackets and pants and plastic ponchos galore. 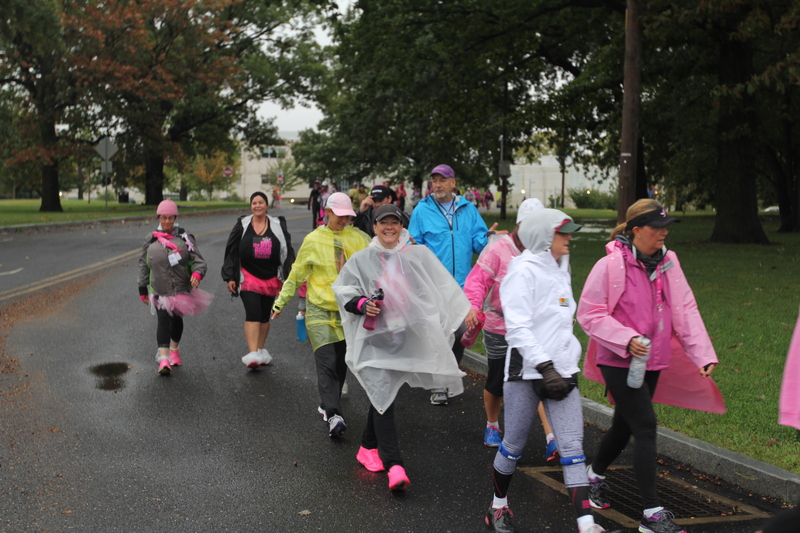 No mere rainstorm was going to stop these folks! 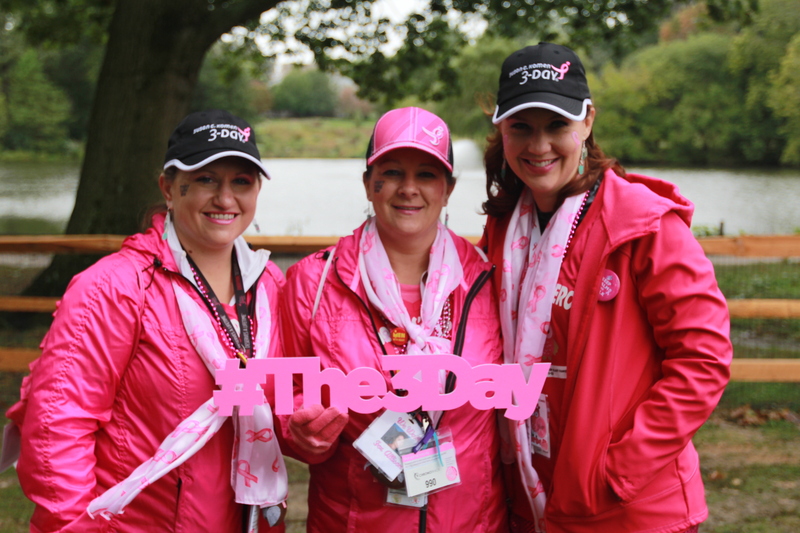 Even with the rainy atmosphere, the Opening Ceremony–hosted by our wonderful 3-Day spokesperson Dr. Sheri Prentiss and Chrissy Mathews from Susan G. Komen®, along with Joanne Harrington, the Philadelphia local events coach–was both exciting and touching. 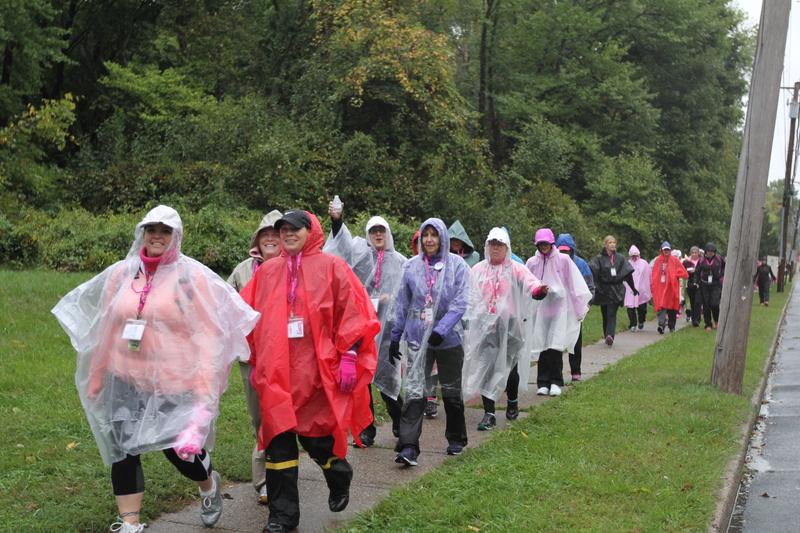 Walkers were wished good luck and sent on their way out of Willow Grove and through the suburbs north of Philadelphia, as the rain began falling more steadily. Pit stops at local parks in Ardsley and Oreland fueled walkers on, as they continued passing through beautiful residential areas. 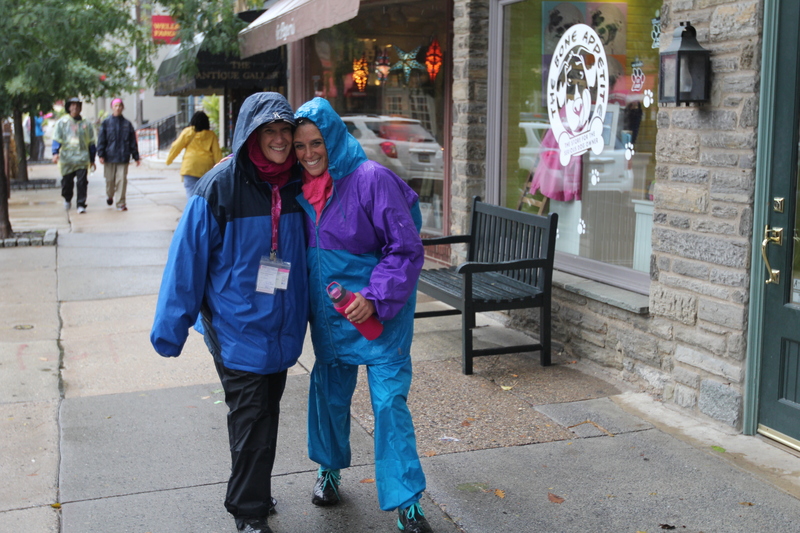 The rain didn’t stop people, including dozens of enthusiastic school children and a cheering station in Chestnut Hill, from coming out and cheering for the 3-Day as it passed. Walkers got a much needed break from the now-torrential rains at the lunch stop, where they were fortunate enough to be able to eat indoors. 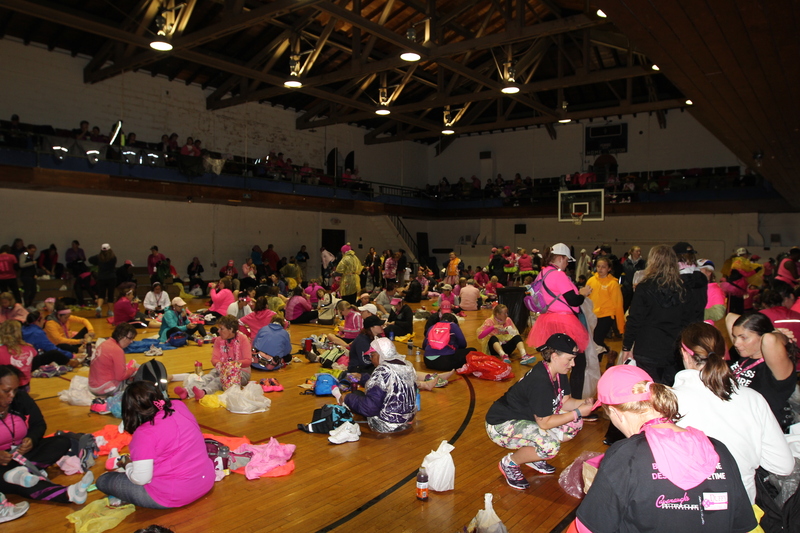 Who knew that the floor of a gymnasium would be such a welcome place to relax? 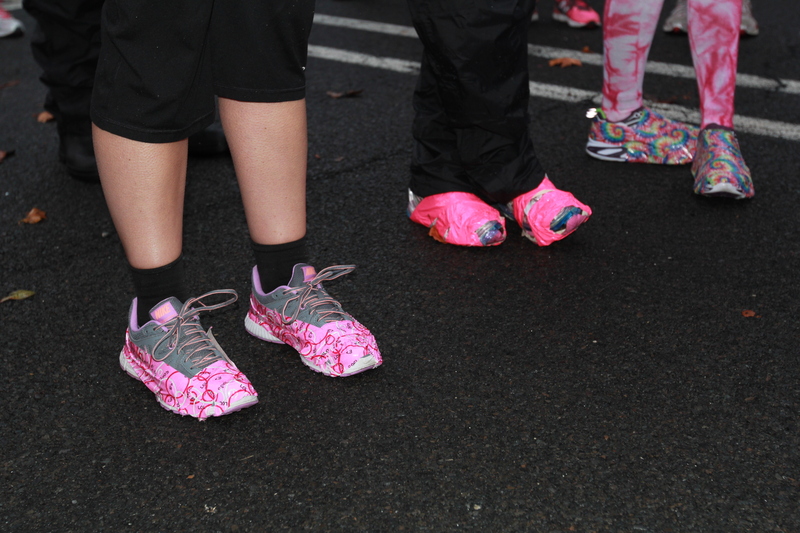 At lunch, many walkers enjoyed being able to shed their rain gear for a bit, and if necessary, replace their feet coverings for the second soggy half of the day. 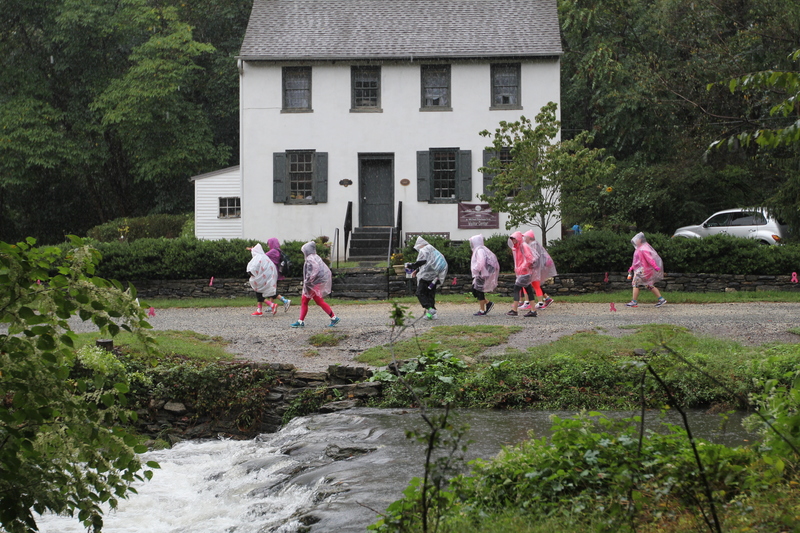 After lunch, walkers trekked on the tree-covered Wissahickon Trail and through the Historic Rittenhouse Town before turning along the Schuylkill River, past Boathouse Row on approach to the Philadelphia Museum of Art. There, after a brief stop at pit stop 4, walkers got another nice little span of indoor walking, as the route actually took them through the museum instead of around it, as in past years. 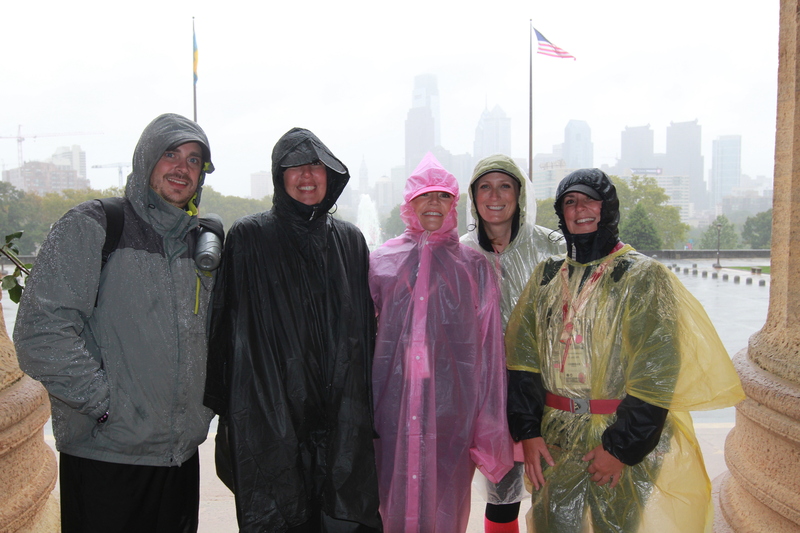 When they emerged on the front side, walkers got a scenic (though cloudy) peek at the downtown Philly skyline, and a trip down the “Rocky” steps to the final stretch to camp at the Pennsylvania Convention Center (hooray for being indoors!). 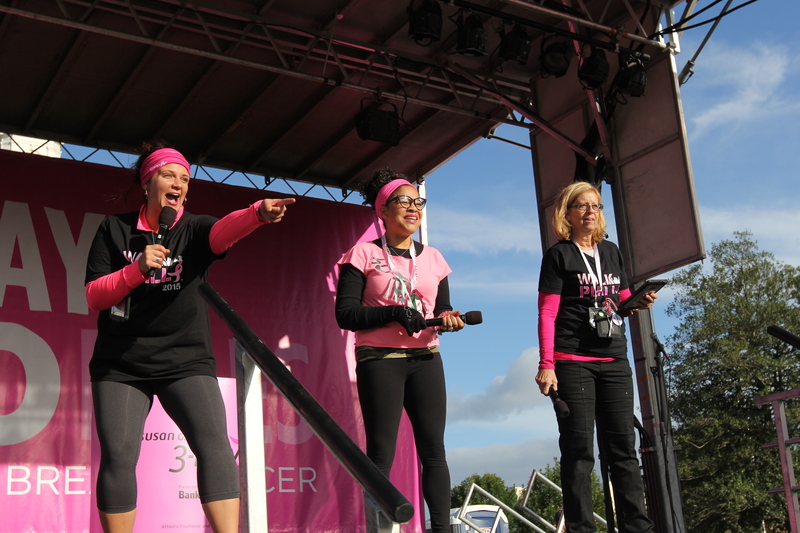 The camp show on Friday brought back the hosts from the morning’s Opening Ceremony, Dr. Sheri and Chrissy, as well as an inspirational speech by 6-time 3-Day walker Jodi, who is a very recent breast cancer survivor, having just been diagnosed earlier this year. 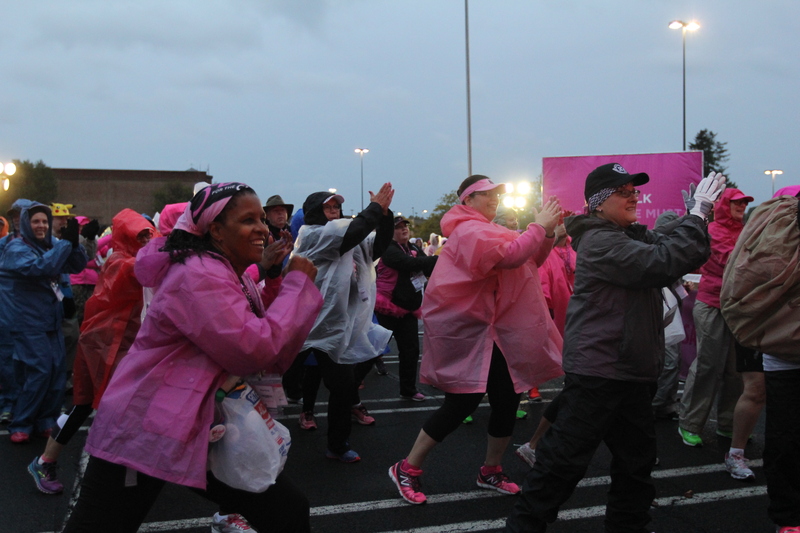 We also recognized Philadelphia’s top training walk leader, top fundraisers and Milestone Award Winner. 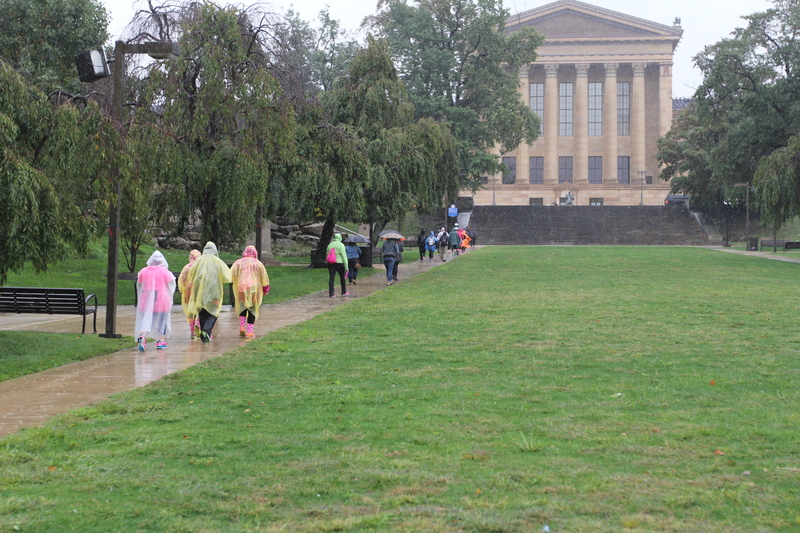 The rain worked its way through Philly (for the most part) on Friday, and Saturday brought chilly, but mercifully drier conditions. 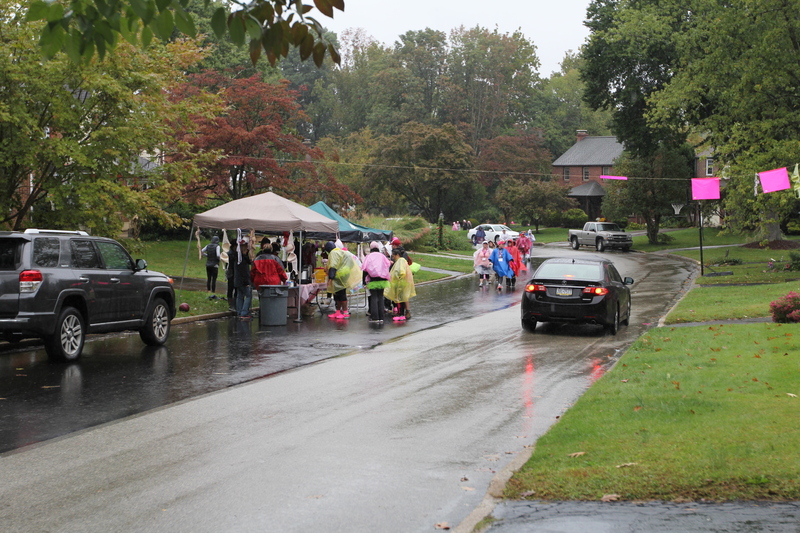 Walkers left the downtown area for points west, including Bala Cynwyd and it’s packed and enthusiastic cheering station, and the communities of Narberth and Ardmore. The route criss-crossed Montgomery Ave., past beautiful historic homes, making its way to the lunch stop at Haverford College, amidst brick and stone buildings and a quaint and picturesque duck pond. 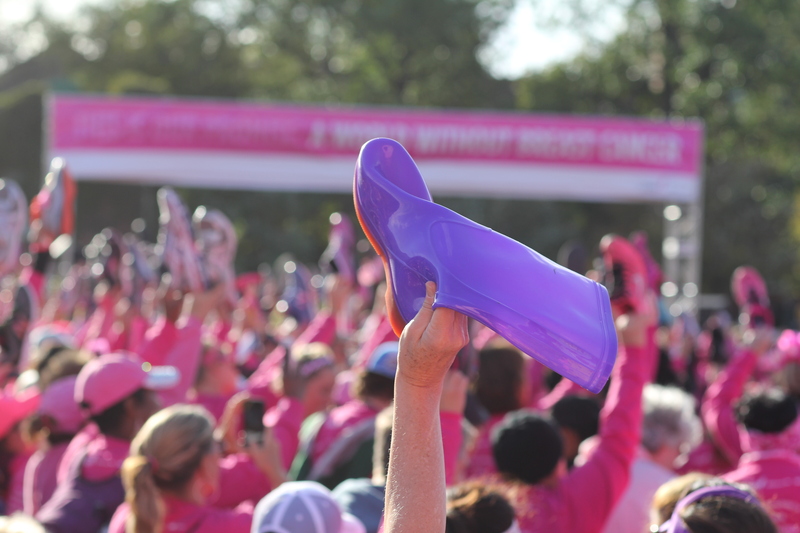 After lunch, walkers began making their way back toward downtown, and passed through JFK Square, where the fountain was dyed a brilliant pink in honor of Breast Cancer Awareness Month, and many walkers stopped to snap pics in front of the famous LOVE statue. Another quick half-mile, and it was home sweet home again at 3-Day camp. Saturday’s camp show had 3-Dayers laughing (wasn’t the costume relay race a kick?) and crying, with a powerful speech from co-survivor Jaime—a 7-time walker who does the 3-Day in honor of her mom, aunt and cousin, who are all survivors—and moving messages from the Philadelphia 3-Day Youth Corps. We also recognized Philadelphia’s Local Impact Award winner. After that, it was the always fun and crazy Saturday night dance party. Walkers headed out on Day 3 for a breezy 15 miles. 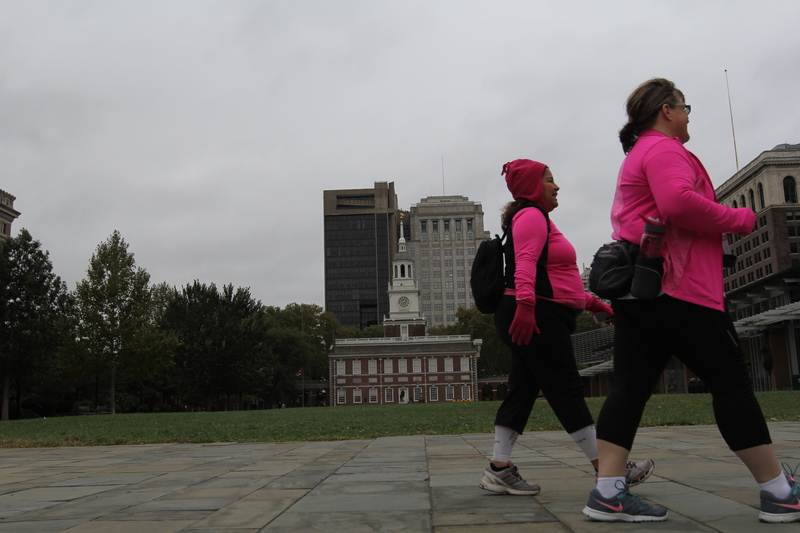 Within a few miles, they had a stroll through some of Philly’s historical hot spots, including Elfreth’s Alley, the oldest continuously occupied street in America, as well as Independence Hall and the Liberty Bell. 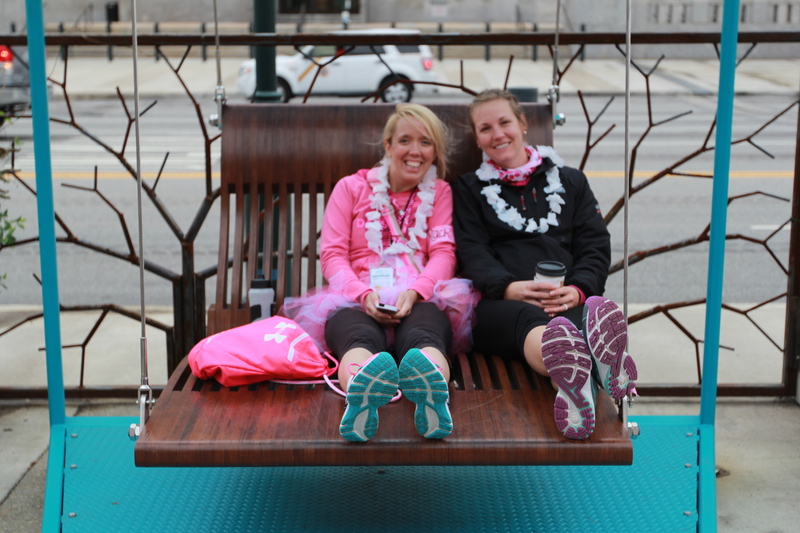 Pit stop 1 at The Porch allowed weary walkers the chance to relax in some whimsical swings before moving on. The route continued through South Philadelphia, and when it passed by Geno’s and Pat’s, rival proprietors (they’re literally right across the street from each other) of Philly’s most famous culinary delight, the cheesesteak, many walkers took the opportunity for an early lunch. 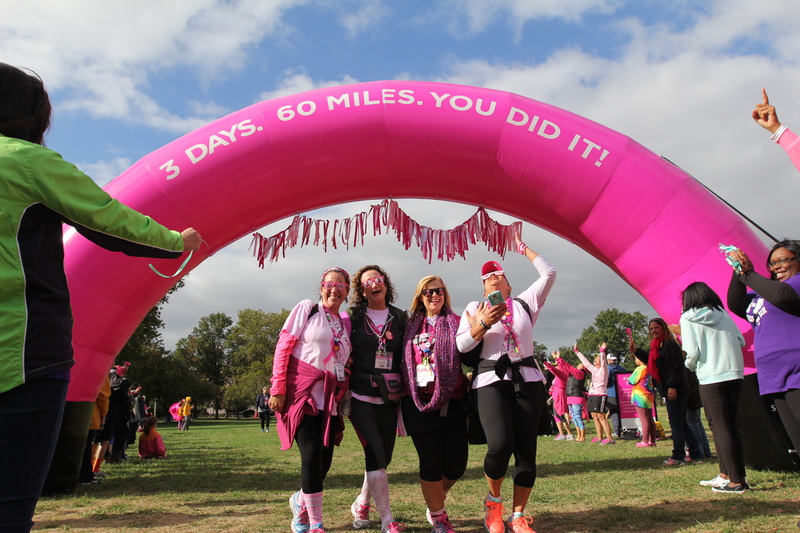 After the official 3-Day lunch stop at South Philadelphia High School, it was a short few miles to the finish line at the Navy Yard, where hundreds of friends and family members awaited their returning walkers with hugs and tears. And with spectacular timing, the sun began peeking through and clouds made way for blue skies right as the final walkers were coming home. Even though the temperatures warmed a bit with the sunshine, the beauty of it was enough to give you chills. 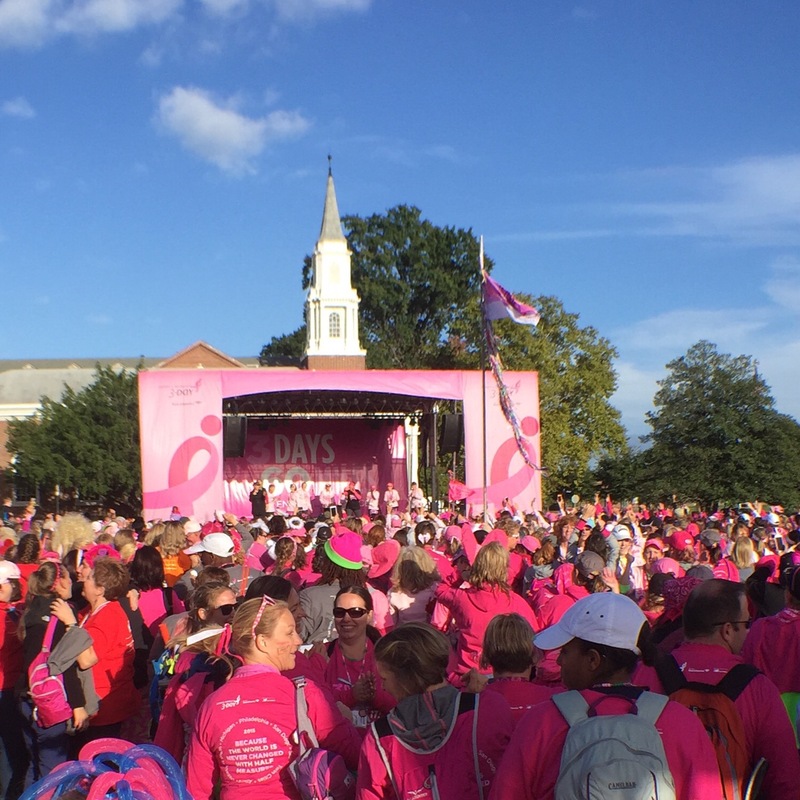 The Philadelphia 3-Day Closing Ceremony was once again hosted by Dr. Sheri, Chrissy and Joanne, who kept the crowd pumped up through a small technical glitch, before carrying on with an extremely touching and inspiring Ceremony. 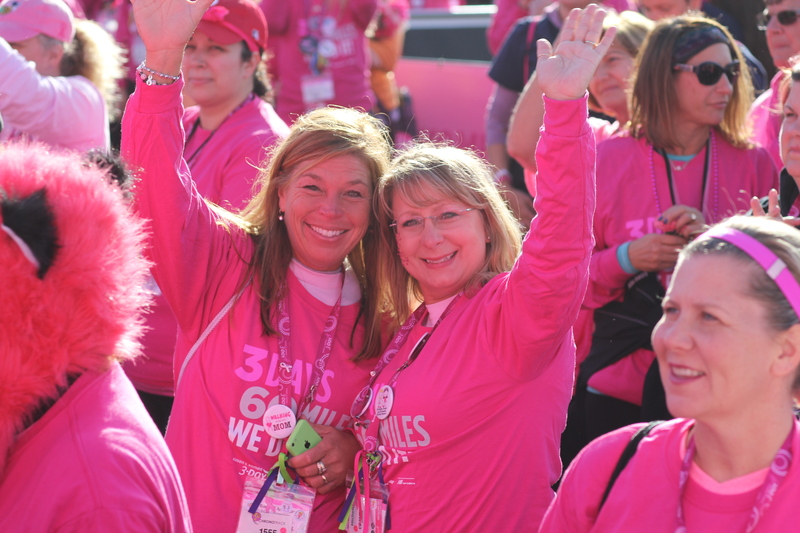 We thanked our many wonderful supporters, sponsors and local jurisdictions, and we shared an especially joyful moment when Chrissy shared that an amazing $2.7 million was raised by Philadelphia’s 1,000 walkers and 300 crew members. 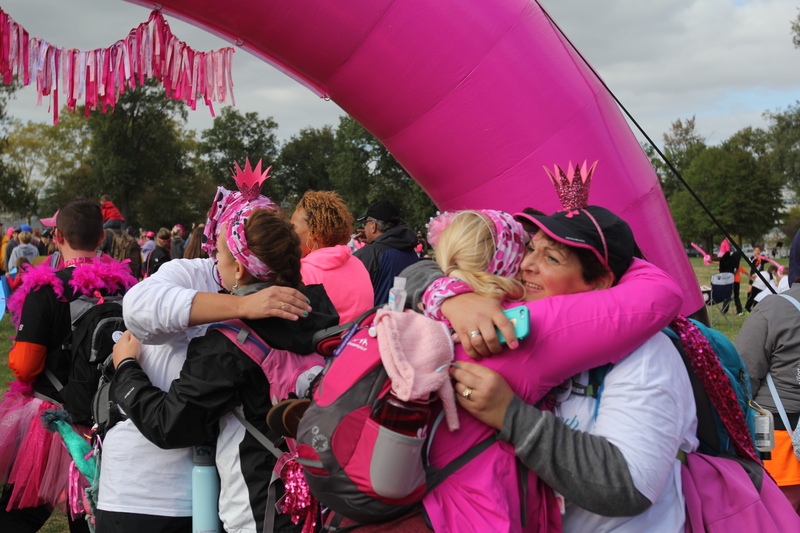 Amidst hugs and tears, the 2015 Philadelphia 3-Day family stood united in the City of Brotherly Love, sharing our renewed promise to never give up on the way to our goal of a world without breast cancer. 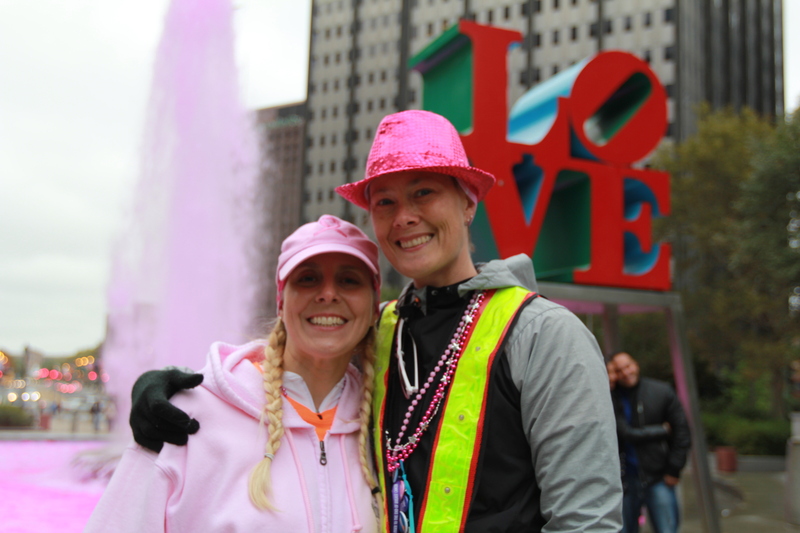 Don’t forget to view a sneak peek of photos from the Philadelphia 3-Day here, and watch our Facebook page for a full album you can download and share later this week!